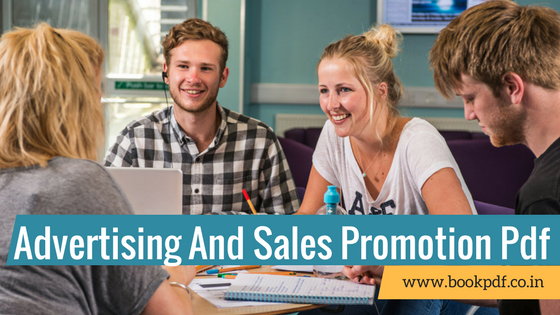 Advertising And Sales Promotion: You can download the Study materials and notes for Advertising And Sales Promotion in PDF files from the official website. Download the Books and Study material for the fourth semester MBA Examination from the official website. We have updated all the necessary books and Study materials which will be required at the time of preparation. In this article, we are concentrating on the subject Advertising and Sales Promotion. The fundamental objectives of an advertising programme are to stimulate sales amongst present, former and future consumers and advertising is used to promote an overall image of respect and trust for an organization. The core courses in an MBA program cover various areas of business such as accounting, finance, marketing, human resources, operations, and statistics, etc. Advertising is a form of communication for marketing and used to encourage, persuade or manipulate an audience (viewers, readers or listeners; sometimes a specific group) to continue or take some new action. Sales Promotion includes activities that seek to directly induced, or indirectly serve as incentives to motivate, the desired response on the part of the target customer. This is a pressure task job. To excel in this field candidate must have a broad knowledge of the subject. As a practice for that MBA is having a paper on this. This way candidates can improve their skills in this field. We have provided all the Books and Study materials with detailed syllabus so that there will be no hassle at the time of preparation. Candidates can follow the curriculum so that it will be easier for them to prepare. Copy Decisions – Visualization of Ad Layout – Elements of Ad Copy and Creation Principles of verbal versus visual thinkers – Styles and Stages in advertising copy creationCopy (Pre-) Testing methods and measurements. Media Decisions – Media Planning and Selection – Concepts of Reach, Frequency, Continuity, and Selectivity – Measures of Media Cost Efficiency – Media (Readership /Viewership) Research – The Internet as an Advertising Medium – Tracking Website visits, page views, hits, and click-stream analysis – permission marketing and privacy – ethical concerns. Measuring Advertising Effectiveness – Control of Advertising by practitioners, media, and the market – Advertising in the International Marketplace – Advertising and Principles of Integrated Marketing Communication and Image Building. Sales Promotion – Rationale, Types – Consumer and Trade Promotions – Sales Promotion Strategies and Practices, Cross Promotions, Surrogate Selling, Bait and Switch advertising issues. Brand Equity – Concepts and Criteria, Building, Measuring and Managing Brand Equity, Linking Advertising and sales promotion to achieve ‘brand-standing’ – Leveraging Brand Values for business and non-business contexts. J. T Russel & Ronald Lane, KLEPPER ADVERTISING PROCEDURE; Prentice Hall. June Valladares, THE CRAFT OF COPYWRITING, Sage Publications. J V Vilanilam & A K Varghese, ADVERTISING BASICS! A RESOURCE GUIDE FOR BEGINNERS: RESPONSE BOOKS, Sage Publications. Subroto Sengupta, BRAND POSITIONING; Tata McGraw Hill. New Delhi. Kirti Dutta, BRAND MANAGEMENT- Principles & Practice, Oxford University Press, India, New Delhi, 2012. Develop a sales promotion plan to encourage continued consumption of Healthy World in North India. How would you make your sales promotion competition proof? How would you evaluate the result of this promotion? Write down the concept and criteria of brand equity. What are the methods of measuring brand equity? Briefly explain the concept of sales promotion. What are the different methods of sales promotion? What are the objectives of sales promotion? Explain in detail the stages involved in implementing a sales promotion strategy. iii) Sales promotion and product lifecycle. Does a sales promotion scheme induce buying? Substantiate your answer. List out the various sales promotion tools available and briefly explain their features. Define Brand equity. Explain the method of building, measuring and managing brand equity. How advertising and sales promotion is linked to achieving brand standing? Explain the role of brand value for business and non-business organizations. All the necessary materials are updated for the fourth semester MBA Advertising and Sales Promotion subject. Candidates can download it for free from the official website or purchase it directly. So without further delay candidates can get the study materials and start preparing for the examination. Make sure there you solve all the questions given so that you can gain the confidence to attend the exam and share this link with your friends so that this will be helpful for them. Candidates can keep in touch with our website for more information on Advertising and Sales Promotion.